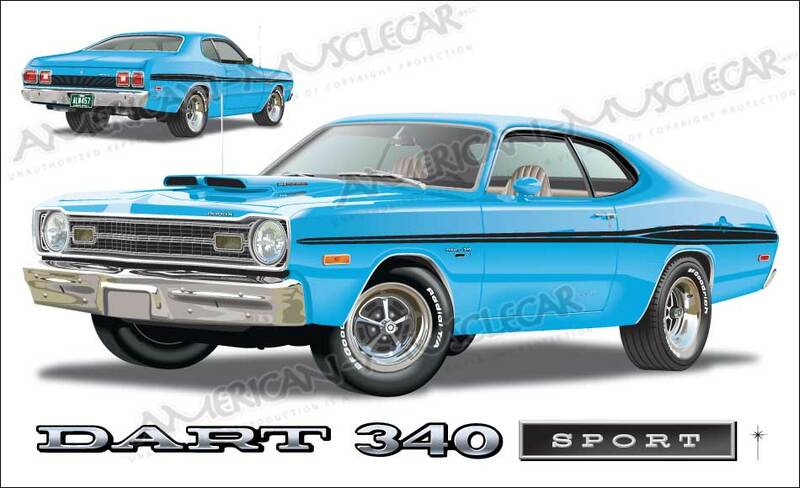 73 DART SPORT- Randy Boone Click on images to enlarge them - then click the big image to close it. 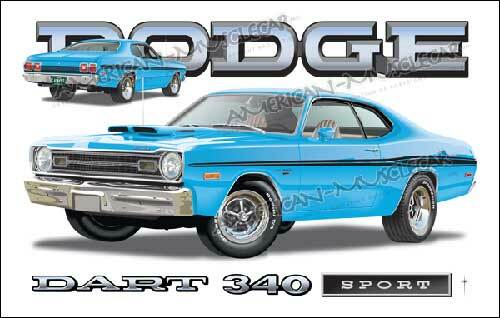 Another 9 hours coloring, drawing detailed seats, scoop blends, and a new rear -deep offset- wheel & tire. Grill vanes had to be reset - when colored they appeared to be drawn at an incorrect angle (photo was hard to see in the shadow areas). Headlights have "mirrored top shades" so the glass had to be "fabricated" without the aid of a photo source. 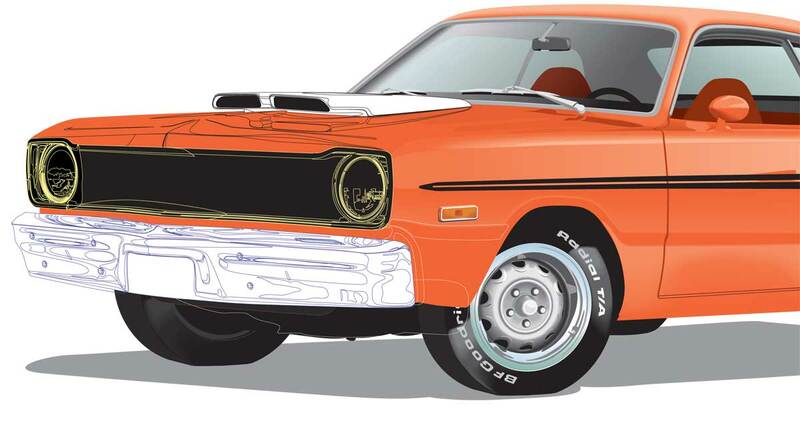 Below is my existing art showing the new lineart for a totally new front clip drawn for the 1973 Dart/Duster sheetmetal. 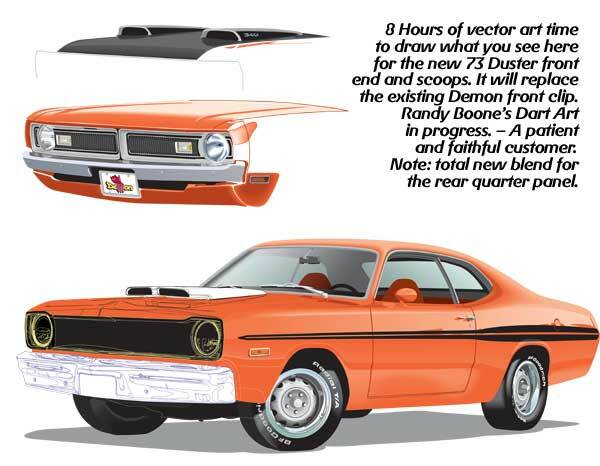 1973 marker lights had to be drawn as well as a new and better blend on the C pillar to help define the center edges of the rear quarter panel (notice the 71 Demon art at bottom - new area circled). Total invested time in the New front end and detailing = 22 hours. 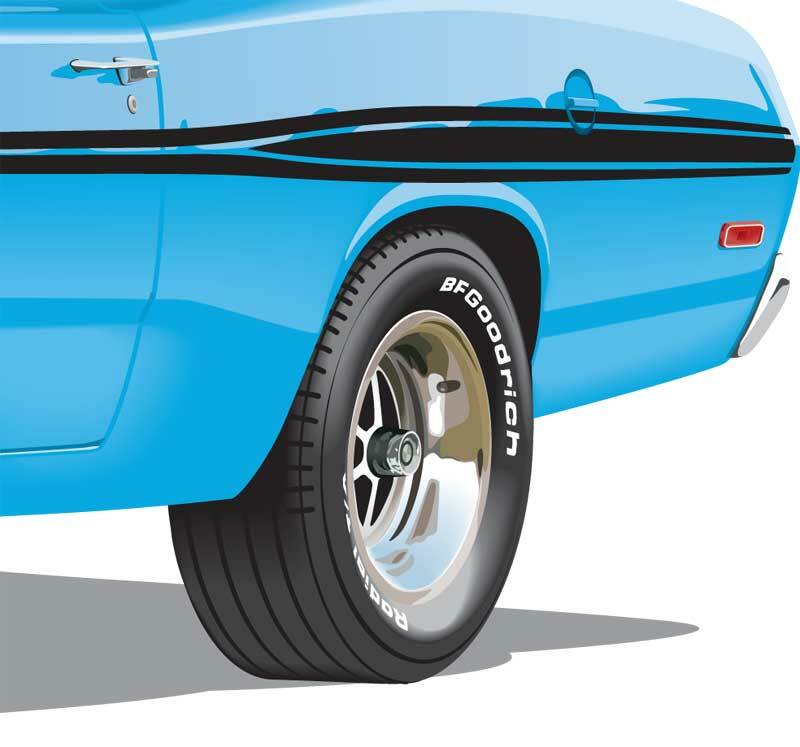 Existing Demon art comprises 24+ hours including source photo shooting and 2 completely new Rally Wheels (drawn without trim rings). 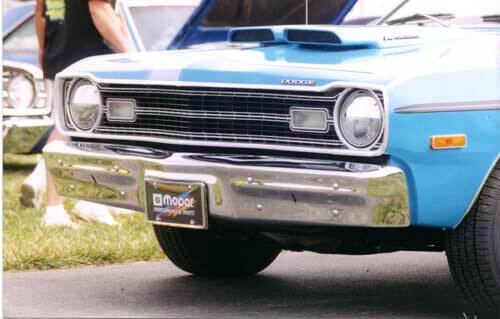 Pics taken in Rockingham Dragway Mopar show in 2002. 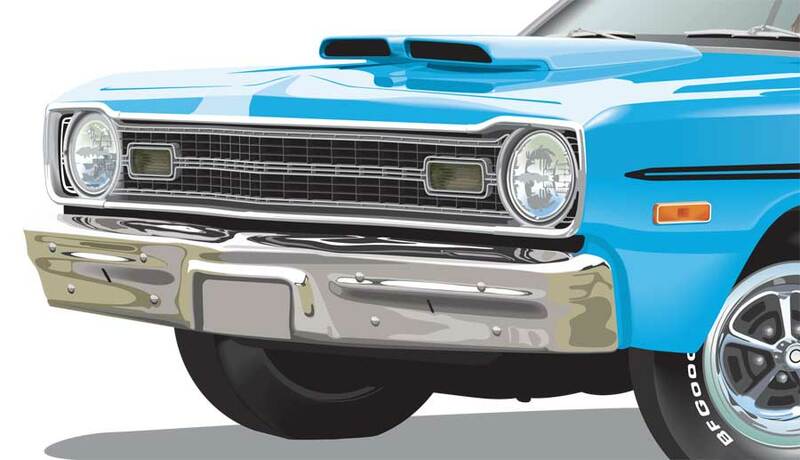 Basic A-Body artwork includes 40+ hours to draw (complete). 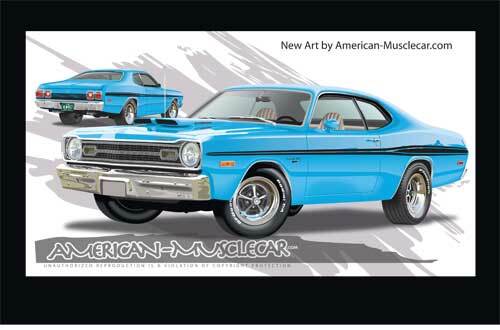 Cost for an All New custom drawn body style - $1600. The center grill section is like the Yellow Javelin. With square blinkers and the spoiler under the grill.